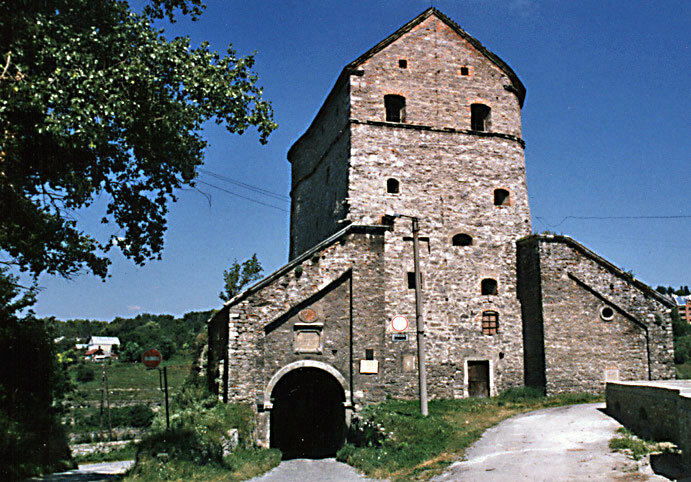 In this view from inside the city walls we see that the modern road (street) has been cut through the former wall to the left of the tower. The white building is on the other side of the Smotrich River. This is 9 on the plan.